Introduction: The Viking raids across Europe brought them into contact with other cultures, including Muslim Arabs. Although there are no known Viking settlements in the Arab lands, both cultures interacted with each other through their respective exploration of Europe. Contact between Vikings and Arabs occurred mainly in the area of what would become Russia. While there is scarce evidence that Arabs visited the homelands of the Vikings, or as they called them, the “people of the North,” artifacts found across Scandinavia, and especially in Sweden, point to an extensive long-distance trade exchange between the two very different cultures. 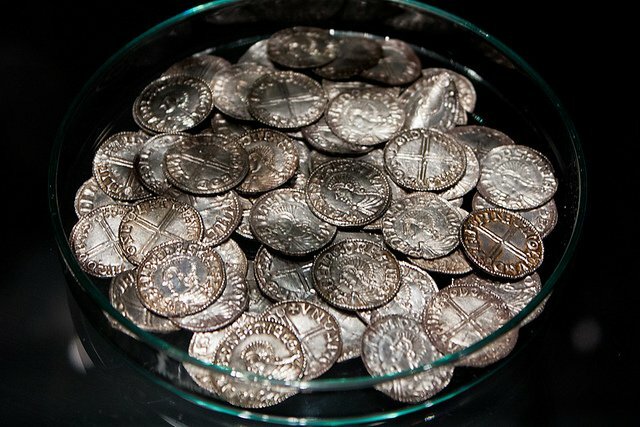 It was the promise of access to much needed and coveted silver that set off the Viking exploration into Europe, and brought Viking raiders into contact with the Arabs. In their quest for silver, the Vikings discovered and accessed valuable trade routes to Constantinople that led to an extensive trade exchange with the Arab world. Seizing upon the opportunity to enrich themselves, the Vikings came into contact with Arabic wealth and treasures through their raids, and soon realized the potential of a peaceful trade exchange.